So you may not like the taste of spinach too much however you should know that spinach is definitely a miracle food, no doubt about it! If you want to get a Wiccan good luck benefit from spinach you can grow it in a herb garden. 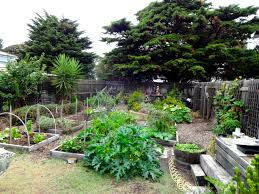 If spinach is grown in your own private herb garden consuming it will increase your personal prosperity. Grown in a family garden, it will increase community prosperity. There have been studies that tested various vegetable such as spinach, broccoli, cauliflower, cabbage, brussels sprouts, mustard greens, turnip greens, kale, and collard, for their cancer fighting health benefits. Spinach is a powerhouse and in many cases it wins as it does help even more than some other veggies to provide protection against the occurrence of cancer such as prostate cancer. Spinach is also wonderful for your eyesight. It’s rich in nutrients, vitamins and minerals. Spinach is also loaded with phytonutrients such as the carotenoids beta-carotene, lutein, and zeaxanthin and flavonoids which can help to provide you with powerful antioxidant protection. Try spinach as a substitute or addition to your regular salad lettuce. A simple balsamic vinegar and olive oil dressing goes great with spinach salad or you can boil the spinach and eat it hot with a touch of flavoring. Getting your spinach dose in a juice form is actually a very healthy way to consume it. Blend spinach with other vegetables or fruits to create a delicious glass of juice, or try a home-made green smoothie made with fresh spinach or visit a fresh fruit smoothie bar such as the juice store at the Whole Foods market. Pick a green drink from the menu that includes spinach as an ingredient. The infamous Popeye made himself super strong by eating …spinach! Try to include it in your diet to protect yourself against inflammatory problems, oxidative stress related problems, cardiovascular problems, bone problems, and cancers. Spinach is also very good for your digestion. It can ease symptoms of constipation and it also protects the mucus lining of the stomach, so that you hopefully stay free of ulcers. Spinach also flushes out toxins from the colon and is often recommended in cleansing diets.